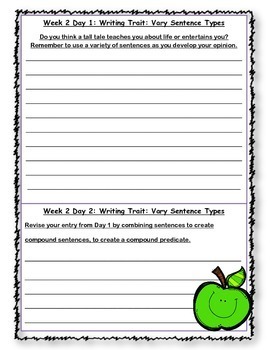 This journal is excellent to keep the students daily writing organized and can be collected easily to grade and assess. 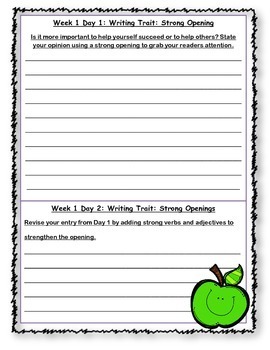 Days 2&4 students apply the weekly writing focus skill by using the skill and adding more to the prompt they wrote the previous day. 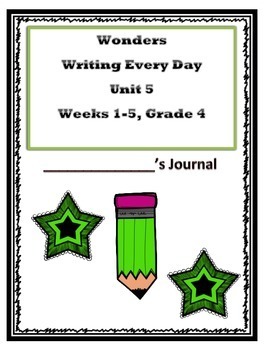 These journals save time and show progress in the students writing over the duration of the unit. Any questions or concerns please email. Enjoy this is a great resource for the Wonders program! !